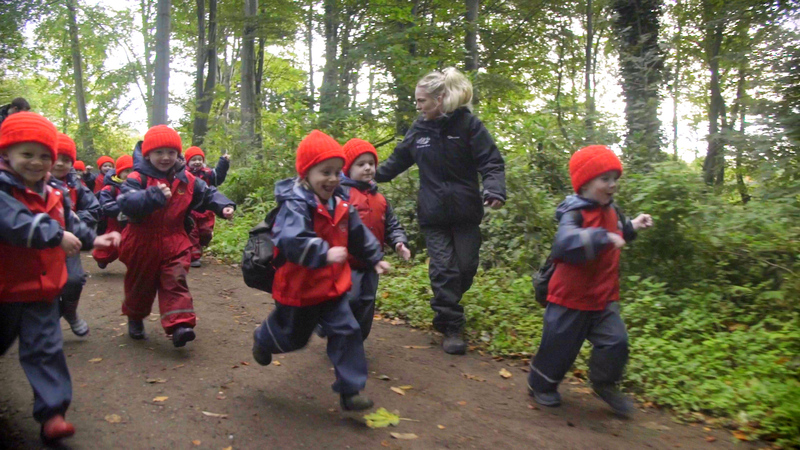 Age of children:At The Country Park Nursery we care for children 3 months to 5 years. Situated within the beautiful grounds of Dalkeith Country Park (adjacent to the Palace) our magical nursery is nestled amongst the trees giving us fantastic links to nature both indoors and out. Our ethos at Chapter One is to bring outdoor adventure and learning to children’s early years and being situated in these beautiful grounds gives us great opportunities to explore, investigate and play, right on our doorstep. Bunnies – Our Bunnies room is for the youngest children at our nursery, approx. 3 months to 15 months. There is an abundance of baby sensory resources to stimulate the children as well as free access to outdoor play. Hedgehogs – The Hedgehog room caters for slightly older babies from approx. 15 months to 20 months. This room ensures younger babies and older babies are in an environment that is suited to their age and stage of ability. Squirrels – This room is the next stage on from the Hedgehogs room and is age appropriate for children approx. 20 months to 26 months. Badgers – The Badger room is for 2-3 year olds and includes core resources like painting, water, gluing etc, for the majority of the day so children can begin to make choices about what they want to play with. Foxes – Our Foxes room is for our 3-5 year olds and again, we ensure core resources are available all day as well as free access to outdoors. The children are in control of their own learning through using a variety of resources, whilst learning through play. Step It Up Dance – For mini groovers aged 18 – 26 months and 26 months to 5 years. These classes promote enjoyment of music, movement and basic hip hop dancing within a safe and encouraging environment. This is a fun and funky form of dance together with loads of fun, laughs and praise along the way.